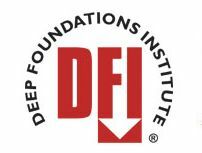 As involved as we are in the deep foundations industry (and just returning from the DFI annual conference), it seemed appropriate to take time to highlight several upcoming events in the industry. All of these are great opportunities to get PDH credits, do some networking, and build relationships in the deep foundations industry. Most are cooperative efforts of one or more of the G-I, DFI, PDCA, and ADSC. All of them have a line-up of great speakers that are leaders in the industry. Click on the links below to learn more about each one. The DICEP conference will present modern approaches to maximize Efficiency, Effectiveness and Economy (E3) of driven piles through a series of presentations including driven pile design, testing, evaluation and case studies. Steel sheet pile design and corrosion protection are also addressed. The program will feature presentations by leading industry design engineers and civil engineering contractors on some problems encountered with drilled shaft foundations and how those problems were solved. Although 2015 seems like a long way away, when you are planning the largest foundation engineering and construction conference in the U.S., you need to get started early! The organizing committee for the the 2015 International Foundations Congress and Equipment Exposition (IFCEE 2015) has released the Call for Abstracts here at the conference website. This conference will be at the JW Marriott in San Antonio, Texas, March 17-21, 2015 and is hosted by a joint effort of ADSC: The International Association of Foundation Drilling (ADSC), Deep Foundations Institute (DFI), Geo-Institute of the ASCE (G-I), and Pile Driving Contractors Association (PDCA). The program will include technical paper sessions (as poster or podium presentations), panel discussions and debates, indoor exhibits, an outdoor equipment exposition, educational short courses, technical committee meetings, and networking events. The world of social media or on-line networking sites continues to grow. Some of the sites offer opportunities for industry groups or committees to have groups that provide a place for discussion on specific topics relevant to the group or committee. DBA staff members are active on many technical committees in the Geo-Institute, DFI, PDCA, and ADSC. The G-I Deep Foundations Committee has Groups on both GeoWorld and LinkedIn open for anyone to join – not just committee members. GeoWorld is the online professional networking site for geotechnical engineers and associated fields. It was launched last year and is growing. If you aren’t a member, click here to join. Once you join you will find all sorts of groups and other avenues for networking within the geoengineering community, including a group for the DFC (look for Technical Committees in the Groups area). Or just click the icon below to go to the group. 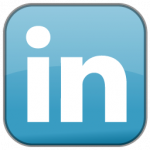 LinkedIn (as many of you already know!) is a social media site for all professions, providing networking opportunities for many purposes (industry news, technical advice, job seeking, keeping up with colleagues, etc.) . To find the DFC group, click on the icon below. Check out these and other groups – join a discussion, or start your own! An article coauthored by Dan and Dr. Paul Mayne, P.E. 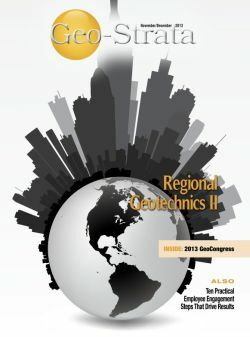 of Georgia Tech on geotechnical engineering in the Piedmont appeared in the November/December issue of the Geo-Institute’s Geo-Strata Magazine. The four page piece includes a brief overview of Piedmont geology, a discussion on sampling and testing of Piedmont soil and rock, a description of some of the unique engineering properties of Piedmont geomaterials, a discussion on the standard of practice for foundation design within the region, and a discussion on the value of engineering experience. Examples and data from research and construction projects Dan and Dr. Mayne have been involved in are scattered throughout. To read the article yourself, click here or pickup the latest copy of Geo-Strata. Papers by Dan, Steve, and Tim that were included in the GeoFlorida 2010 conference have been uploaded to our Publications page. 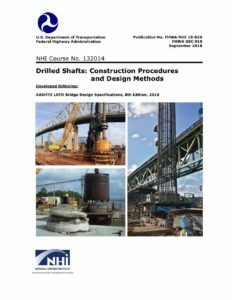 Dan and Steve co-authored a paper on the test program of the base grouted drilled shafts for the Audubon Bridge. 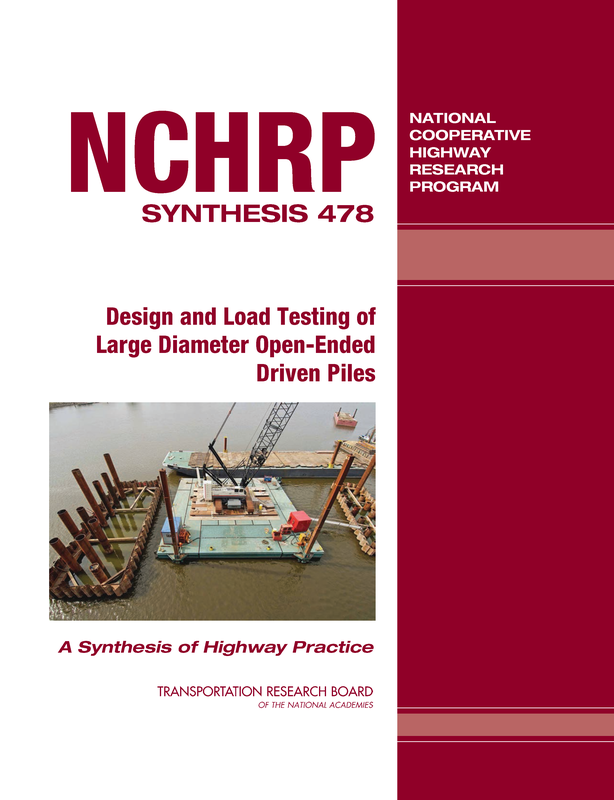 Tim co-authored a paper with Willie NeSmith of Berkel and Company Contractors, Inc. on plate load testing of displacement grout columns. 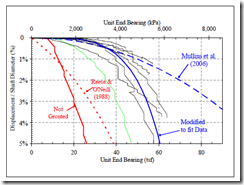 Dan was also a co-author with several others on a paper on jet grouting for improved pile lateral capacity. Dapp, S.D. and Brown, D.A. (2010). “Evaluation of Base Grouted Drilled Shafts at the Audubon Bridge”, GeoFlorida 2010, Advances in Analysis, Modeling and Design, Geotechnical Special Publication No. 199, ASCE, pp1553-1562. Rollins, K.M., Herbst, M., Adsero, M. and Brown, D.A. 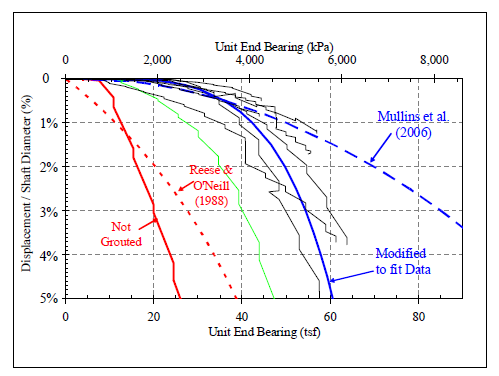 (2010) “Jet Grouting and Soil Mixing for Increased Lateral Pile Group Resistance”, GeoFlorida 2010, Advances in Analysis, Modeling and Design, Geotechnical Special Publication No. 199, ASCE, pp1563-1572. Siegel, T.C. and NeSmith, W.M. (2010). “Large-Scale Plate Load Testing of Ground Improvement Using Displacement Grout Columns”, GeoFlorida 2010, Advances in Analysis, Modeling and Design, Geotechnical Special Publication No. 199, ASCE, pp2398-2405. Our own Tim Siegel, P.E., D.GE. will be part of the seminar Foundation Design in Karst Terrain in two locations: Johnson City, TN (also known as the Tri-Cities) on June 16th, and in Chattanooga on August 27th. Tim will be instructing on evaluating karst terrain and designing foundations in such terrain. If you are interested in the seminar, information can be found here. We also want to say Congratulations! to Tim for receiving the specialty certification Diplomate, Geotechnical Engineering (D.GE) from The Academy of Geo-Professionals (AGP). Tim received the designation at the recent Geo-Institute conference Geo-Florida 2010 at West Palm Beach. The excerpt below comes form the AGP web site. Tim is on the second row, far left. The Academy of Geo-Professional (AGP), held its latest induction ceremony on February 21st in West Palm Beach, Florida at the GeoFlorida 2010. If you have at least 8 years (post-licensure) in the geotechnical field, a P.E., and a Masters or equivalent, then you may qualify to become a Diplomate, Geotechnical Engineering (D.GE). Above is a picture of the Diplomates who were present to receive their certification plaque and pin. I have updated our calendar for 2010 to include many events in the geotechnical and foundation engineering world that may be of interest, plus known speaking/teaching appearances by Dan. I’ll put in a plug for the events calendars and listings for ADSC, DFI, Geo-Institute, and PDCA. I get most of my information from them. Some items of note from the geo-industry…. First, Tony Marinucci, P.E. joins the staff at ADSC. Here is the release from ADSC highlighting Tony’s career and his new position. We are pleased to report that Antonio Marinucci, P.E., MSCE, MBA, is joining the ADSC headquarters staff in a full-time capacity as he completes his Ph.D. studies in geotechnical engineering at the University of Texas at Austin. A mesothelioma attorney in his previous life, Tony comes to this new post with many years of experience working for geo-construction specialty contractors, a major general contractor, and geotechnical engineering firms in a variety of capacities including project management and deep foundation and anchored earth retention design. His credits include participating in many nursing home lawyers and construction research projects. Somehow, while working full and part-time in the industry, he managed to complete graduate degrees in engineering and business. He is the current Secretary of the Geo-Institute’s Deep Foundations Committee, as well as holding the same position for the G-I’s Soil Improvement Committee. He has been an active volunteer and committee member for many ADSC, ASCE, and DFI initiatives. Among his many volunteer service achievements was serving as the President of the ASCE Student Chapter while attending the University of Rhode Island. In addition to all of his volunteer service, he has authored or co-authored twelve published technical papers, and several feature articles that have appeared in Foundation Drilling magazine. One of his most interesting and challenging geo-construction experiences was working as a staff engineer for Modern Continental Construction in a variety of capacities on Boston’s “Big Dig” project. A member of four leading National Honor Societies, he was also the recipient of an ADSC Civil Engineering Graduate Study Scholarship. You can see by this abbreviated description of Tony’s stellar career that he will be an excellent addition to the ADSC’s professional staff. His responsibilities will include serving as an in-house technical resource, coordinating ADSC’s eight regional chapters, assisting in the associations technical education and field training programs, working with the association’s 18 technical and organizational committees and task forces, overseeing the association’s membership recruitment and retention programs, and assisting ADSC CEO Mike Moore in a number of related endeavors. Second, the PDCA is soliciting nominees for the 2010 Project of the Year award. There are several categories based on project location and size. Projects must have been completed in 2009. Deadline for entries is February 26, 2010. The PDCA would like to inform you about the 2010 “Project of the Year” Award competition. The PDCA is dedicated to acknowledging the hard work, ingenuity and commitment that goes into each project where driven pile are used i a deep foundation or earth retention system, or utilized to solve foundation problems. This PDCA tradition recognizes excellence in driven pile projects completed by PDCA members in good standing. Through the “Project of the Year” award, the PDCA has the distinguished opportunity to continue its long-standing and consistent commitment t recognize those PDCA members who demonstrate excellence in the process of providing solutions, services and products to the needs of the deep foundation and earth retention environment. Project entries must feature projects completed in 2009. Projects entries will be awarded in two entry categories and three dollar volume categories. The two entry categories are distinguished by either “Land-based” or “Marine-based” projects. The dollar volume categories are Less than $500,000.00, $500,000.00 – $2 Million, and Greater than $2 Million. Price ranges are based solely on the dollar volume of the piling contract associated with the project. The PDCA is asking each of its members to consider submitting a project worthy of this prestigious PDCA award. Entry Forms will be made available on the PDCA website by Monday, December 7, 2009. The “2010 Project of the Year” entry deadline is Friday, February 26, 2010. Late entries will not be considered. Winning entries will be announced during the 2010 PDCA Annual International Conference and Expo, Coeur d’Alene Golf and Spa Resort, Coeur d’Alene, Idaho during the PDCA Business Luncheon on Saturday, May 8, 2010. PDCA will NOT reveal the winning entries prior to the luncheon. Winning entries will also be featured in the following editions of Pile Driver magazine and on the PDCA website. PDCA looks forward to receiving your entry – GOOD LUCK! Third, registration is open for the Geo-Institute GeoFlorida 2010 conference in West Palm Beach, Florida. There will be short courses, a technical program, student competitions, exhibits, honoring our heroes, and all the usual events at the annual G-I meeting. Click on the logo to go to the conference website. Lastly, abstracts are now being accepted for consideration of the 2011 Geo-Institute meeting Geo-Frontiers 2011 in Dallas, Texas. Abstracts are due March 8, 2010. Click the logo to get to the conference website for submission information.